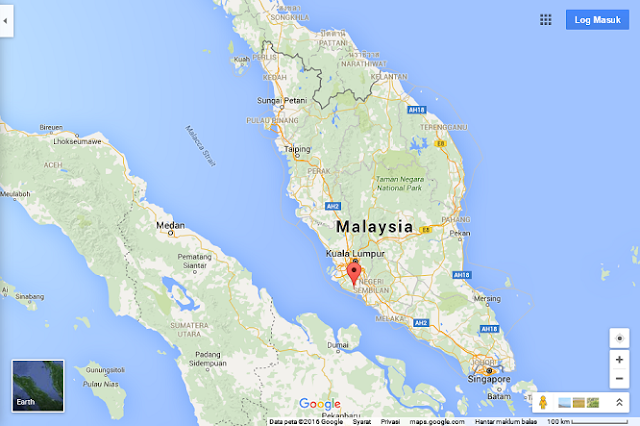 Holiday: Klang Valley at Selangor, Malaysia. Have you ever bring your kids for a holiday trip? School holidays are just around the corner. If you’re wondering to bring your kids for a nice holiday trip to do with them, we’ve listed down 5 location for your family to have and enjoy great holiday ideas in the Klang Valley. You can experience cold season snow in Malaysia in style. Snow world is located in the theme park of Genting highlands is a great way to feel the fun and build your own snowman. This snow world is not just about an artificial snow park but also has different attractions with the interior designed that will make you travel into a world of snow. Don’t miss the day and night LED Light Animation Scheme and visit the lookout point. The warm house also provided if you like to get worm before continue your exploration and have fun sliding at the play slide area (Cresta Run Toboggan Slide) and be prepare for a grand Snowball Time. The surrounding temperature in the Snow World is maintained around -4 degree Celsius and it will make you tingling. You can walk through the Winter Downtown with a World Heritage Concept. You can see the authentic streets as animated with rhythmic lights twinkle from the windows of the restaurants. The restaurants provide such as Italian Pizzeria, English Tea Shop, French Bakery and also Spanish red wine bar. Experience the Dutch clogs and Swiss chocolates to make you feel the culture and heritage of different countries. The ticket price is MYR30 and for children and senior citizens is MYR25. Don’t worry about the outfit because they will provide you the jackets, boots & gloves for the session and have to turn it back. Open every day 9:30am to 11:30pm Malaysian School holidays and Public holidays, the timings are 09:30am to 12:30am. Contact : +60 3271 81118. Let your kids immerse themselves in the rich of biodiversity that Malaysia has to offer. They can learn about the different ways of which they can lead for more sustainable lifestyle. FRIM celebrates its 30th anniversary last year (2015) and already make an Open Day on that day (6th June). A lot of activities have been done where the public can find out more about the research and preservation activities carried out at the institute. There will also be a whole day long activities such as a lot of games, laboratory visits, tree-climbing demonstrations and competitions for the whole family. Perhaps FRIM will do it again for this coming School Holiday for such a wonderful exploration with gaining a lot of knowledge. 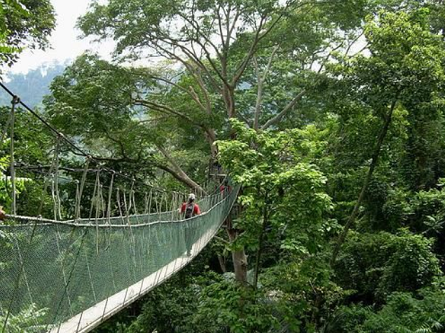 If they are not make it again this year on the next School Holiday, just bring the whole family on any other day for a jungle tracking activities and up on an amazing rain forest canopy walkway, or just enjoy and relax for a picnic beside the refreshing streams at the park. For more information about the park, check out their website at www.frim.gov.my and I’m sure your kids will love it. 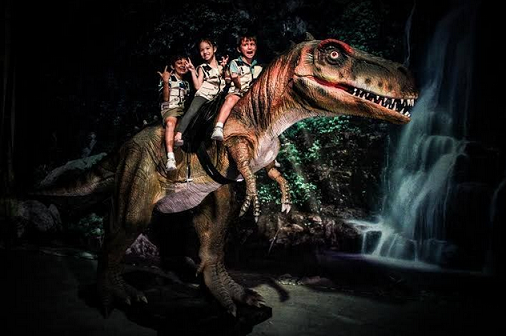 Every kids loves dinosaurs, and we highly recommend you for making a trip to Dinoscovery. It’s a dinosaur theme park-meets-exhibition that will bring your kids and their parent back to the Mesozoic era about 250 million years ago. Walk alongside with 22 life-sized, awesome animatronic dinosaurs, challenge a Gallimimus to a 10-metre race and visitors have to shoot down the gigantic pesky prehistoric mosquitoes using a real paintball rifle. Belive it or not, I can guaranty that the parents will have just as much fun as the kiddos here. So check out the exhibition’s opening hours at their website www.discoveria.com.my and make your way there this coming holidays. Unless you’ve been living in a cave with your children, it’s highly likely you’ve heard of, or have been to, Kidzania at The Curve. Kidzania is an interactive education entertainment centre that allows children to play role adult activities and jobs. The situation took place in a tiny replica city that is designed to project the real in adult world we live in. From perform science experiments in laboratory to piloting an aircraft, kids can spend an entire day playing adult while adults can join their kids in the fun. 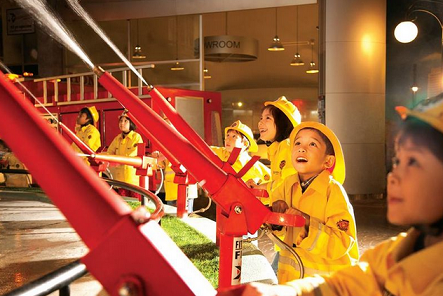 For the coming school holidays, Kidzania is usually offering a special promotion tickets price. Visitors have to pay MYR158 for two kids and 1 adult with a limited edition exciting gift bag. To find out about how to redeem for this promotion, check out their website at www.kidzania.com.my. Consider for something a little different for this coming school holiday. 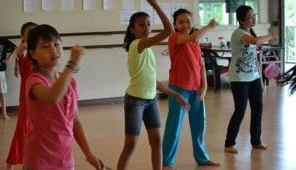 Sign your kids up for one of the great school holiday programmes held at the Kuala Lumpur Performing Arts Centre located in Sentul Park, Kuala Lumpur. Your kids will experience public speaking workshops and also participate in creative writing classes. Bring them for hip hop dance workshops for the older kids. This programme is design for a kid to a fun and intensive creative arts programme for children aged 3 to 6 years old. There’s something to learn for every kid here. Find out more about the fun programme at www.klpac.org. The Genting International Children’s Festival will be held from May 30 to June 14. Dinosaurs, clowns, jugglers and stilt dancers are just a few of the many colourful characters that will dazzle the young, and young-at-heart.